Now that winter season is here, we have compiled some of the coolest and hottest makeup and beauty trends from the runways, as well as some easy makeup tips! We know a lady can never get enough tips when it comes to her makeup, and where else would be the best place to take these tips from other than the fashion weeks and runways? Whether its makeup, skincare, nail trends, and anything related to beauty, we have you covered! For more beauty tips and trends click here! For UAE Brides! Win Your Celebrity Look! 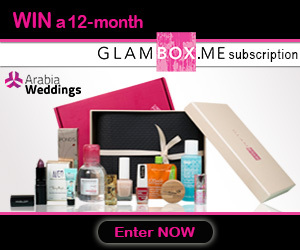 WIN your Bridal Makeup and Hair Look Inspired by Your Favorite Celebrity! Are you still confused about which look is best for you on your big day? How about you get some inspiration from your favorite celebrity? You can now win a complete makeup and hair session worth 3,000 AED by Italian makeup and beauty artist Vanessa! All you have to do is get the biggest number of likes on a picture you choose of your favorite celebrity look, which you also want to have on your wedding day! Create an account on Arabia Weddings if you don’t have one already. Fill in this form and upload a picture of your favorite celebrity, which you want to look like on your big day. After the picture is published, we will send you a link to start sharing the page with your friends to get the biggest number of Facebook Likes. To view the participants page and vote click here. Consultation and Trial: The initial consultation is the real design of your image: Vanessa will work in close contact with the winner, in order to discover all her needs, her desires and dreams… to make them real. Vanessa will be able to take out the best in you, suggesting the perfect make-up and hairstyle, according to the style of your bridal gown and the colors that accentuate your features. Wedding Day: The only thing that you will have to do before the great moment will be sitting and relaxing: Vanessa will take care of you to create a magic and unforgettable moment. The Make-up session during the wedding day takes care of every single detail: Vanessa will make a mini-treatment of cleansing and hydration which will give the skin bright energy and an illuminating effect, so that your face will be ready to assure a perfect make-up. The Hairstyle session will define your look exalting your characteristics, in order to make you feel at best. These treatments will be executed exclusively with luxury products of the highest quality, perfect for the most natural and glamorous bride. Any bride-to-be living in the UAE and getting married in 2014 excluding this period: 6-31 July & 12 to 22 November. Born in Verona, Italy, Vanessa has cultivated her strong passion for the world of beauty since she was young, obtaining professional qualification and certification as a beautician, in addition to, many certificates for techniques in nail reconstruction. Moving to Milan, Vanessa qualified as a Make-Up Artist and Hair Stylist at the prestigious Diego Dalla Palma’s Academia BSI, the most famous Italian expert. Vanessa took part in various TV programs on Rete 4 such as “Come si cambia Academy” and “Come si cambia Celebrity” where she did the makeup of many celebrities. From that moment she started her professional career as freelance makeup artist and Nails Stylist, offering her services for weddings, theater, photo shoots, advertising, fashion shows and many events. Vanessa has moved to Dubai in early 2014, she has already worked with magazines such as Grazia and Housekeeping, Physique TV, Miss Russia, photo shoots and other events in the UAE. The contest will start on the 18th of May and end on the 25th of May at midnight. The winner will be announced on the 26th of May. The contestant must be getting married in the UAE. The winner is the one who gets the biggest number of Facebook Likes on their celebrity image. Each contestant can collect the Likes in any way they want, Arabia Weddings is not responsible of how the Likes are being collected. Here are some makeup ideas that are easy to do, whether you are a bride or not these are simple and elegant makeup looks you can easily pull off. For more step by step makeup ideas click here! UAE Brides: Win Your Wedding Makeup from Italian Makeup Artist Vanessa! Dear Brides of UAE! WIN your Bridal Makeup and Hair Look Inspired by Your Favorite Celebrity! You can now win a complete makeup and hair session worth 3,000 AED by Italian makeup and beauty artistVanessa!